Business owners and individuals in need of mobile printing solutions to meet their needs can consider the new devices added to the lineup of HP Officejet printers, as presented in this HP Officejet Mobile Printers review. These devices deliver fast speeds that boost productivity. Their high print resolutions make it possible to create professional looking documents, lab quality photos and graphics with vibrant colors. These printers are cost-efficient in many ways, starting with their high yield cartridges that come, individually, for easier replacement. Duplex printing lets you save on printing costs and paper, by 50%. They shut down, automatically, when not in use. This lets you save on costs of energy. Networking capabilities that allows printer sharing among multiple users, present easier maintenance of the device. 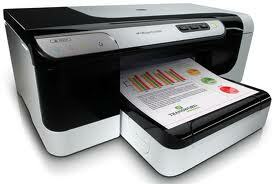 HP Officejet 100 Mobile Printer is the first printer offered by HP that allows mobile color printing in a compact device. By means of incorporated wireless connectivity, you can print from just about anywhere. It, also, allows printer sharing among multiple users within the network. Moreover, it prevents clutter brought about buy hanging wires and cables. When fully charged, its lithium ion battery gives a long life that can last about 500 prints. With original HP high yield cartridges you can come up with documents that look more professional. This thermal inkjet printer measures 13.7” W x 6.91” D x 3.32” H and weighs 5.1 lbs. It has a standard memory of 64MB and a powerful processor of 220 MHz which gives its fast speeds of 22 pages per minute for mono and 18 pages per minute for color. It prints with a resolution of 600 x 600 dpi for mono that produces text with laser quality and 4800 x 1200 dpi that gives clear and remarkable color graphics. It also lets you print 4” x 6” borderless photos with lab quality. It is designed to perform in tough surroundings. You can continue being productive even while you are travelling with its monthly duty cycle of 500 pages. It supports an assortment of media forms such as plain paper, inkjet paper, photo paper, labels, transparencies, envelopes, index cards and greeting cards. It can handle different sizes of paper such as letter, legal, statement and executive. It can hold envelopes with size 10, cards with size 3” x 5”, 4” x 6”, 5” x 8” and photos with sizes 4” x 6” and 5” x 7”. It has a standard input capacity tray that is capable of 50 sheets and 3 envelopes. It is capable of manual duplex printing that lets you save on paper costs. HP Officejet 100 enables you to print straight from sources such as a Blackberry phone, Nokia Symbian smartphone and Palm OS. You can, likewise, print directly from a Pictbridge enabled digital camera to create lab quality pictures. It is compatible with Windows, Mac and Linux operating systems. This printer is eco-friendly with its original HP cartridges that are made of 50% recyclable materials. It, also, saves energy when it shuts down, automatically, when the device is not being used. HP Officejet Pro 8000 Enterprise Printer is a compact printer that measures 19.5” W x 18.86” D x 7.09” H and weighs 17.2 lbs. This makes it ideal for small workplaces and office branches. It is cost-efficient with its 50% less use of energy, making it Energy Star qualified. It offers 50% lower cost per page as compared with laser printers. With HP Web Smart Printing, you just get to print the pages you need by choosing from multi web pages and classifying them. It is capable of auto dual sided printing that lets you save on costs of paper and printing. It comes with individual high yield cartridges that makes you replace, only, the ink you need. Thus, this lets you save more. It boosts productivity with its fast speeds of 35 pages per minute for mono and 34 pages per minute for color. You can print professional looking documents with the courtesy of its high print resolution of 1200 x 1200 dpi for mono and can come up with striking color photos with a print resolution of 4800 x 1200 dpi for color. It makes use of ColorLok Technology that gives more vivid colors such as bolder blacks with less smearing on plain paper. It is capable of borderless printing up to a maximum size of 8.5” x 11”. It allows you to print on documents that are resistant to water, making use of pigment inks. It has a large input tray that is capable of 250 sheets, minimizing the need to load paper, every now and then. With its built-in Ethernet wired networking, you can share printer with several other users within the network. It is compatible with Windows, Mac and Linux operating systems. It has USB and Ethernet connectivity. It supports a wide range of media sizes that include letter, legal, statement, executive, 3” x 5”, 4” x 6”, 5” x 7”, 5” x 8” , 4” x 10”, 4” x 11”, 4” x 12”, 8” x 10”, no. 10 envelope, Monarch and DL (envelope). It has a monthly duty cycle of 15,000 pages. HP Officejet 100 and Officejet Pro 8000 Enterprise Printers are the new devices added to the HP Officejet line. These are aimed at business customers that require mobile printing and have extensive needs. Both of these printers deliver fast speeds and produce output of exceptional quality with sharp and clear text and graphics with vivid colors. They allow you to boost productivity and enhance efficiency in any workplace. They allow businesses to cut down on costs with their high yield cartridges, networking capabilities and dual sided printing feature. They are Energy Star qualified with their abilities to save energy. All these features and functions packed in compact, mobile devices make them meet the printing needs of busy professionals, as seen in the HP Officejet Mobile Printers review.